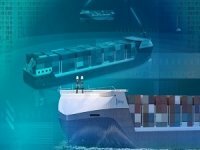 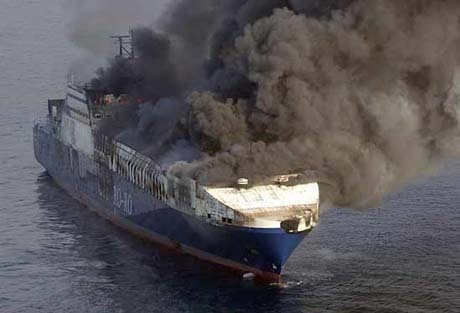 A Turkish cargo ship carrying 200 trucks and several tons of hazardous material caught fire on Wednesday in the Adriatic Sea and was in danger of sinking, Turkish and Croatian authorities said. 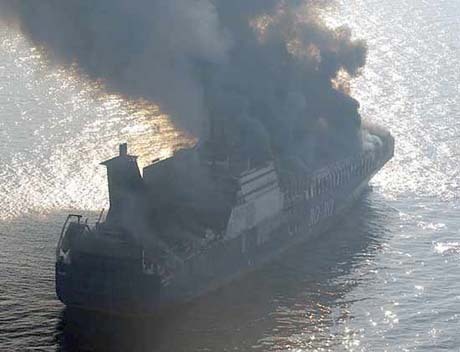 A Turkish cargo ship carrying 200 trucks and several tons of hazardous material caught fire on Wednesday in the Adriatic Sea and was in danger of sinking, Turkish and Croatian authorities said. 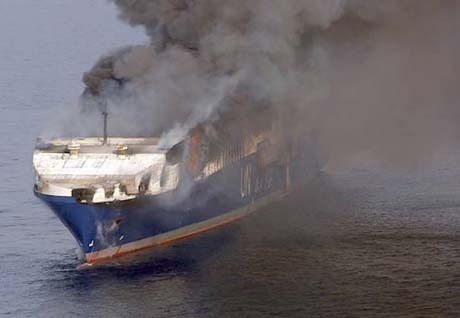 All nine passengers and 22 crew members were rescued. 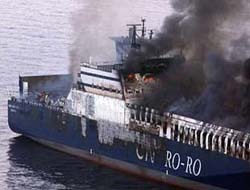 The Und Adriyatik was sailing from Istanbul to the Italian port of Trieste when it caught fire some 15 nautical miles (28 kilometers) from the northern Croatian resort of Rovinj, according to the Croatian ministry in charge of transportation and infrastructure. 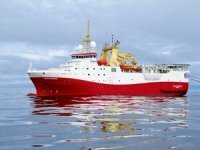 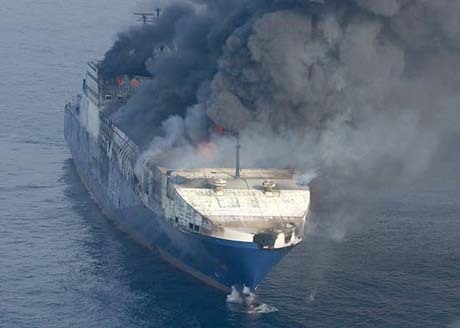 The ship, which was carrying about 11 tons of hazardous chemicals, was in danger of sinking, it said. 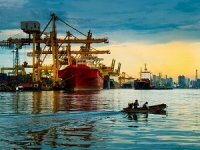 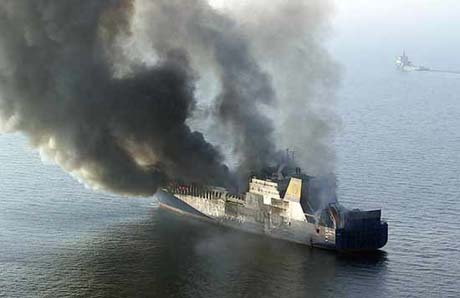 Turkey's maritime authority said the ship caught fire early in the day and efforts to extinguish the fire were continuing by the afternoon. 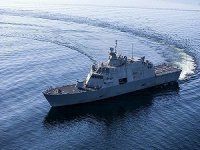 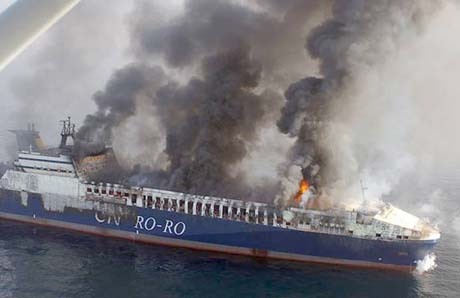 The cause of the fire on board the 193-meter (633-foot) ship was not immediately known. 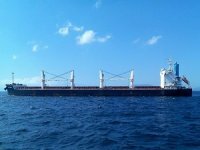 Neither the Turkish nor Croatian authorities identified the type of hazardous material the ship was carrying. 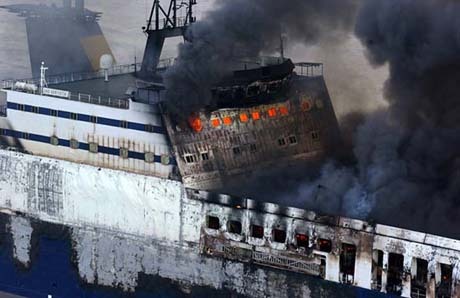 "All passengers, 31 of them, are safe and were evacuated by the crew of the Greek ship Ikarus Palace. 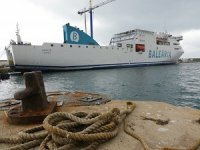 They are on their way to Trieste, Italy, right now," said Marina Haluzan, a spokeswoman for the Croatian ministry.